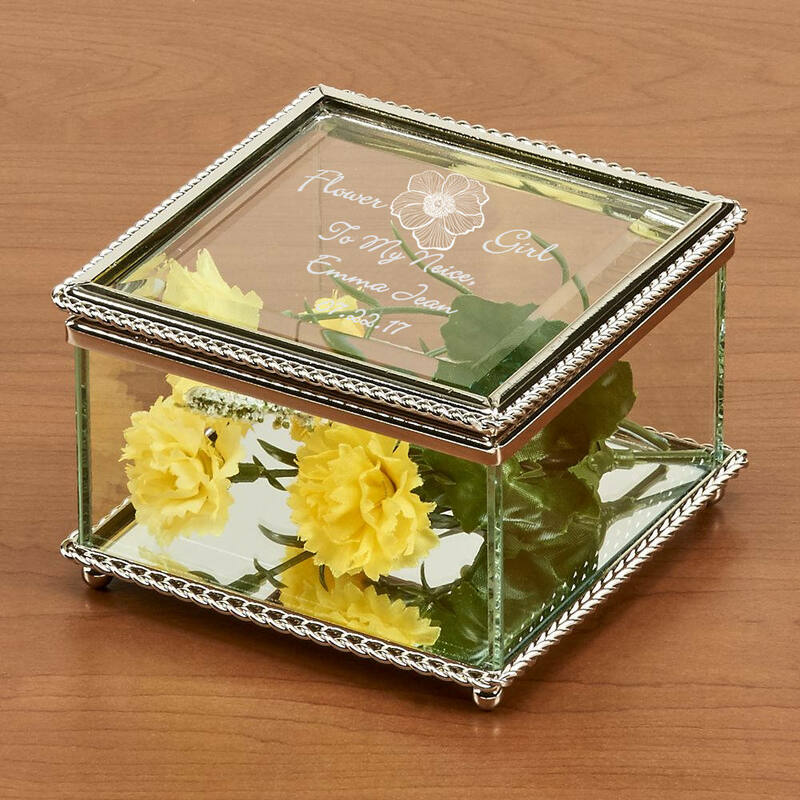 Create a lovely and memorable gift to a special Flower Girl to reflect your heartfelt thanks! Comes with a beautiful flower engraved in between the words "Flower Girl". 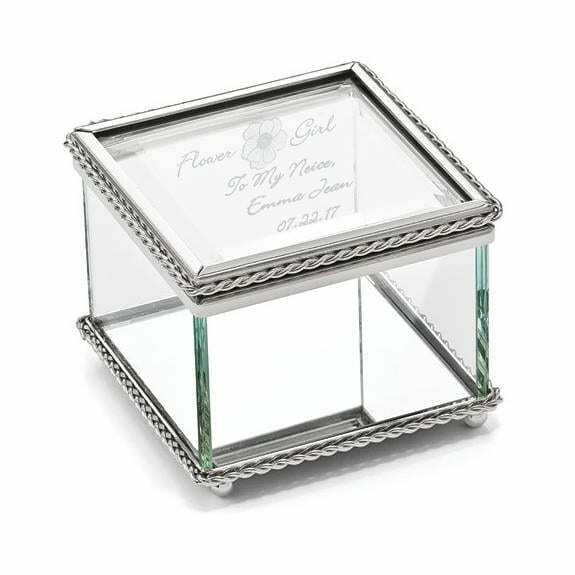 a thoughtful message or name with date can be engraved into the glass lid in an elegant, font style creating an impressive and beautiful keepsake she'll treasure through the years.